The Bengali village of Mahdipur, in Bangladesh, is the ancestral village of Jamal Rahman, his brother, Kamal, and his sister, Aysu. Their great grandfather, Maulana Hedayatullah—a revered spiritual teacher and healer—established a school for women and a boy's orphanage within the village many years ago. In 1994, Jamal and a group of friends began interfaith home worship gatherings called "Circle of Love." 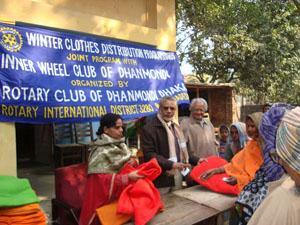 One of the charitable activities of this congregation was an annual fund-raising dinner in support of the village. 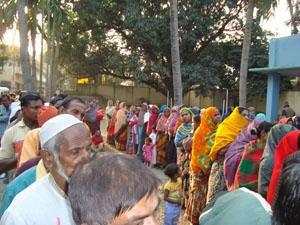 A "Trust of Maulana Hedayatullah" was established by Kamal within Bangladesh to receive donations. In August 2009, Kamal and Aysu were special guests of Seattle's Interfaith Community Church, where they spoke about the village of Mahdipur. Aysu shared her vision—and the Rahman family’s longtime dream—of establishing a free medical clinic within the village. As a medical doctor trained in Bangladesh, Aysu has a deep understanding of what is needed within the village. This, along with her medical expertise and network of professional colleagues willing to help, is making this dream a reality. 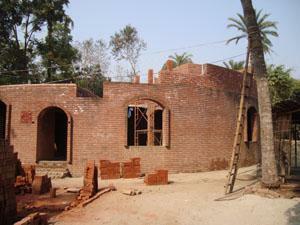 Kamal, currently living in Dhaka, Bangladesh, has begun construction on a building that will serve as housing for visitors and an additional building that will hold the medical clinic. 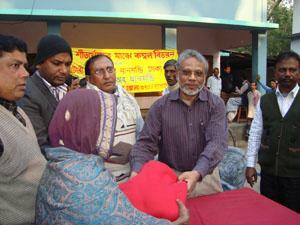 In January 2010, Kamal distributed blankets to the people of the Bengali Village of Mahdipur (see photos).